After a split weekend in its home tournament, the Florida Gulf Coast University softball team improved its record to 9-6-1 after collecting wins against North Dakota, Harvard and Eastern Michigan, and falling to Villanova and Arkansas as part of the FGCU/Four Points by Sheraton Round Robin tournament. In their final game of the tournament against Eastern Michigan, the FGCU Eagles shut out the EMU Eagles, 12-0. After managing to keep their opponent scoreless through six innings, FGCU collected its second shutout of the weekend and fifth of the season via the mercy rule. The FGCU Eagles got an early lead after bringing in five first-inning runs from seniors Chelsea Zgrabik and Brittney Garabedian. In the first inning alone, Zgrabik and Garabedian totaled five RBI after Zgrabik’s three-run homer over the left-field fence and a triple from Garabedian. Later in the game, junior Kelsey Carpenter added two RBI while senior pitcher Amanda Josie threw five complete innings and struck out four. Earlier in the weekend, the Eagles began their home tournament with a 5-4 loss to Villanova, followed by a 13-0 shutout over North Dakota. Through their double-header Friday evening, senior Jessica Barnes led FGCU with four hits in five at bats and produced two doubles, two triples and two runs. The next day, the Eagles took a hard 14-7 loss to Arkansas after a late three-run lead from the Razorbacks late in the sixth inning that the Eagles were unable to close. After going 1-2 the first three games in the tournament, the Eagles turned it around after collecting a 3-1 win over Harvard and 12-0 shutout over Eastern Michigan on Sunday afternoon. 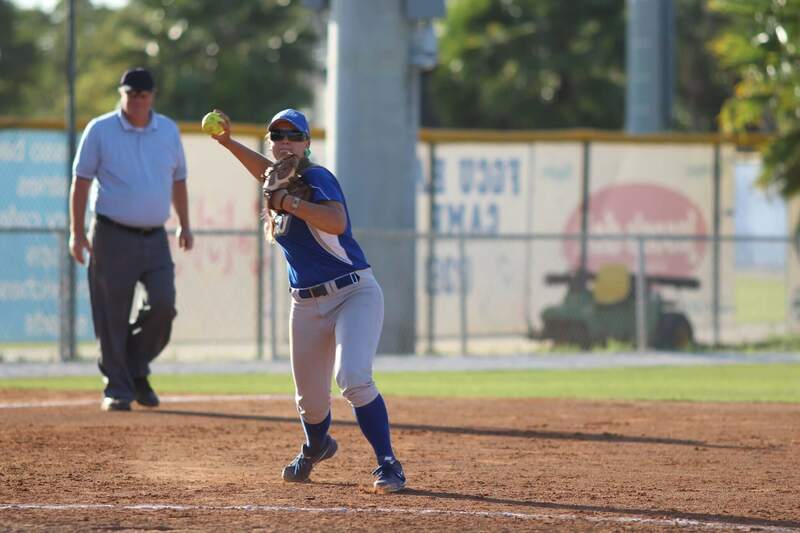 Returning from a bicep tendon injury, junior pitcher Shelby Morgan earned a win for FGCU in the Harvard game after allowing only five hits from the Hawks through seven innings. Wednesday afternoon, the Eagles host a midweek double-header with games against Oakland and a rematch against Eastern Michigan. The Eagles’ first game against Oakland will begin at 4:45 p.m. and their second at 7 p.m. against Eastern Michigan.